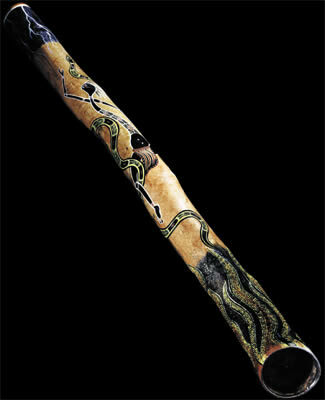 This Yidaki (didgeridoo) is hand painted by Gambirra Illume, of the Yolngu Aboriginals, N.E. Arnhemland, Australia. 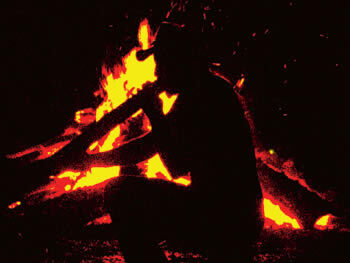 Gambirra, of a long lineage of traditional ceremonial painters, is closely related to Djalu, custodian and grandmaster of the Yidaki and Mandawuy Yunupingu (lead singer of Yothu Yindi). Both these tribal elders are Gambirra's 'maris' (grandfathers). 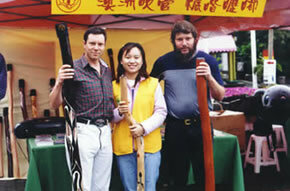 Gambirra is a highly original painter and educator of Aboriginal Culture. Her works are traditionally based contemporaries influenced by a tribal and modern environment. The significance of the artwork on this Yidaki is not only greatly heightened by Gambirra's strong tribal links, but also because it conveys a story. 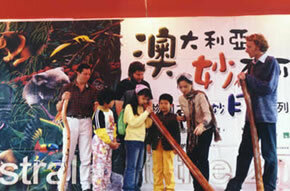 In 2003, Echo Tree was invited to be part of a cultural exchange exhibition held in Asia by the Australian government. 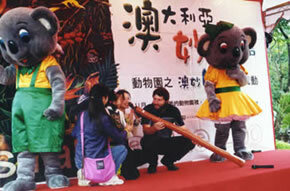 Our role was to promote and educate people about the Australian didgeridoo. 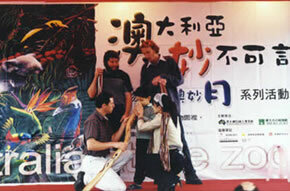 This entailed performances and an extensive display of didgeridoos. 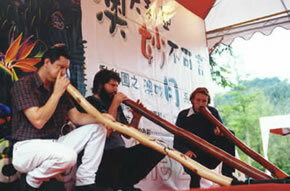 Indigenous music was also promoted and disseminated to many of the people who were exposed to the unique sound of this instrument. It was estimated that Echo Tree was able to expose this cultural icon to over half a million people during the exhibition. This included newspaper, radio and television coverage and interviews.